Finally, there is a possibility of good 3D Sonic game. 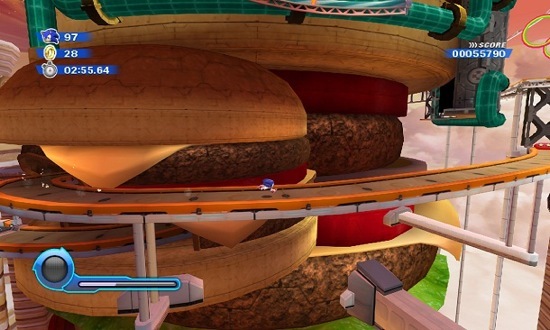 With my time at Pax, two things assured me of the Wii version Sonic Colors’ high potential. One was Sega representatives admitting other 3D Sonic games were terrible. This time they’ve seemed to learn from their mistakes and have taken Sonic back to his roots. The other was getting to play it. 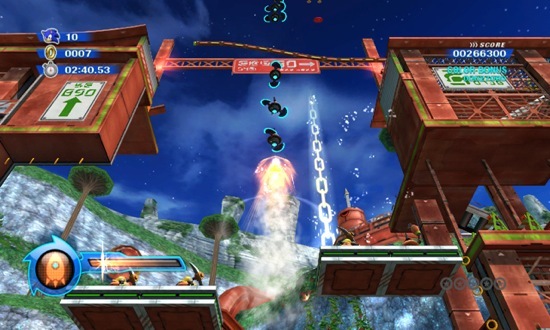 Hit the jump for my Pax Hands On with Sonic Colors for the Wii. The best part of the demo was the multiple paths to explore. Sometimes you could plainly tell where paths branched, but for the most part you had to explore the areas or accidentally stumble into new parts. The stages had minimal little repeating areas. Sometime you would blow past some gorgeous building for a second and you’d never see it again. “Was that a cheeseburger silo?” This gave the world an expansive feel and made them seem fully realized and well crafted. The game can get quite fast. While this may seem to be redundant to say, it’s different from other 3D Sonic games where you are handed speed. The speed is done right here as you have to earn it by playing well. Traps, spikes, and numerous obstacles lie in your path to slow you down, and it’s your job to get blow past them with jumps, slides, and speed boosts. The homing attack feels good and accurate. Only on a few occasions did I try to jump over a bumper and would be locked on and flung into the bumper instead. The rest of the time, I had complete control. Oh, it was a cheeseburger silo. Unlike previous 3D Sonic games, I never felt like I wasn’t in control of Sonic. Even when I was zip lining across a chasm, it seemed as if I was in full command. The controls were tight and the jumps were fairly accurate. Only a few times I died from random falls, and the rest were my fault. The only time it felt strange to control Sonic was when he was falling from a sizeable height. At first I thought it was just super floaty, but I think it was slowed down to a kind of bullet time that I didn’t realize as it was happening. There wasn’t any visual indication and if there were sound cues, I couldn’t hear them because of the general loudness of Pax. The best part of the demo was the multiple paths to explore. Sometimes you could plainly tell where paths branched, but for the most part you had to explore the areas or accidentally stumble into new parts. The stages had minimal little repeating areas. Sometime you would blow past some gorgeous building for a second and you’d never see it again. “Was that a cheeseburger silo?” This gave the world an expansive feel and made them seem fully realized and well crafted. The visuals are candy colored, poppy, and very pretty. Sonic Team is known for great visuals and this game is no exception. Something else Sonic Team is known for recently is unsuccessful gimmicks, but this time the subdued use of wisps bucks the trend. My biggest worry was the wisps. Luckily, they are not game breakers. They’re mostly connectors used to get to different points and reach different paths. You activate them by shaking the Wiimote and they each lasted for no more than three seconds at a time. They didn’t feel necessary to use in the level I played and could have bee avoided all together. I’m not sure if this is representative of the entire game, but I was certainly relieved by my exposure to the wisps. I didn’t get to try out the multiplayer. It wasn’t confirmed then, but I wished I had prodded them on it. I will now chop off a finger in repentance. Sonic Colors Wii isn’t a reinvention of the 3D Sonic wheel, it’s that they finally created a wheel that is round and rolls. 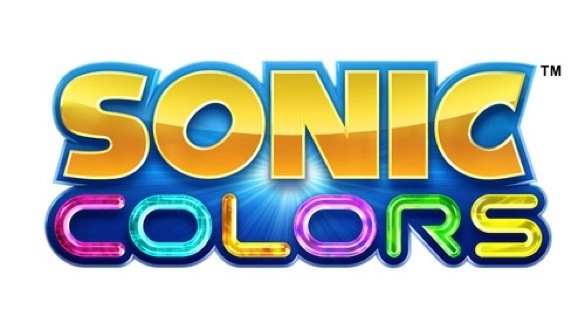 If you aren’t already a Sonic fan, you may not care about Sonic Colors. But Sonic Team has finally made something that people who love Sonic can get behind. It definitely has been a while for those people, so lets hope the game can keep this feeling throughout and make Sonics fans happy. I don’t know. I just don’t know. Sonic Team broke my heart. Sonic games for the current systems have just sucked. Oh, if you chop a finger off, make sure it’s one not used for a fire button. Still very iffy about 3D Sonics, I’ve heard good things but then you hear bad things, I don’t know what to think anymore.